Tom Grennan is the winner of the BBC Music Introducing Artist of the Year Award 2018. The 'Lighting Matches' hitmaker has capped an incredible 12 months by being selected for the accolade which honours the best new British artist of the past year and he admits it is "an incredible honour" to get the prize, which he insists he owes to the support of his family and fans. Grennan said: "It's an incredible honour for me to pick up such a prestigious award as the BBC Music Introducing Artist of the Year. I have seen other people I admire greatly pick up this trophy over the years so for me to now receive it is pretty mind blowing and a real landmark moment in my life. I want to sincerely thank my family, management team, and record label for giving me the strength to challenge myself and become the best I can be, and to BBC Music Introducing for their incredible support and for giving my work the recognition they have. And most importantly of all, I want to thank my fans, because without them I am nothing!" 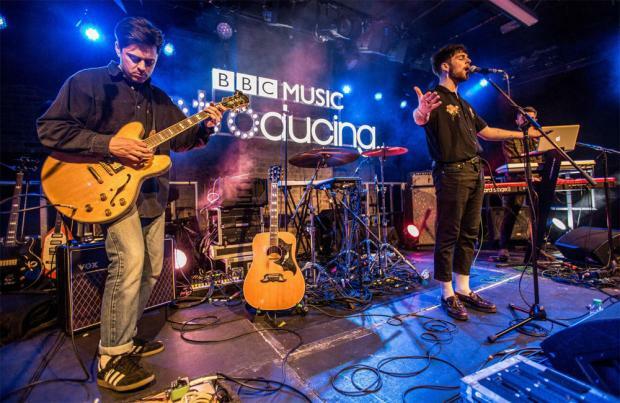 BBC Music Introducing is the BBC's scheme for emerging musical talent, showcases undiscovered and unsigned artists and has helped to kick-start the careers of chart toppers such as James Bay, Jake Bugg, Florence + the Machine and George Ezra since it was launched in 2007. Previous winners include Izzy Bizu, Jack Garratt and Catfish and the Bottlemen. Grennan, 23, began his own journey with BBC Introducing back in 2012 when he uploaded his former band's music to the talent scheme's website. He then shared his first solo tracks in 2016 and quickly began making a name for himself in his hometown of Bedford and beyond. Chase and Status' 'When It All Goes Wrong' and Bugzy Malone's 'Memory Lane'. Speaking about why Grennan was selected as this year's recipient of the Artist of the Year Award 2018, James Stirling – Head of BBC Music and BBC Music Introducing – said: "BBC Music Introducing has supported Tom Grennan for over five years now, via BBC Local Radio and our National Radio stations and television shows. It's such a pleasure to see his music making a significant impact and to be able to add his name to our list of talented former winners."